100 scholarships every year. Forever. Not quite ready to enter the working world just yet? Then consider a scholarship to help advance your studies and your life. In 2014, Westpac gifted the nation $100 million to fund 100 scholarships every year, forever. Westpac Scholars are not your everyday people. They are tomorrow’s leaders, thinkers, innovators and pioneers – people from all walks of life who are united by their generosity of spirit and driven by a desire to shape a better future for all Australians. As part of the program, Westpac Scholars will get access to leadership development programs and other professional development opportunities through Westpac Group. 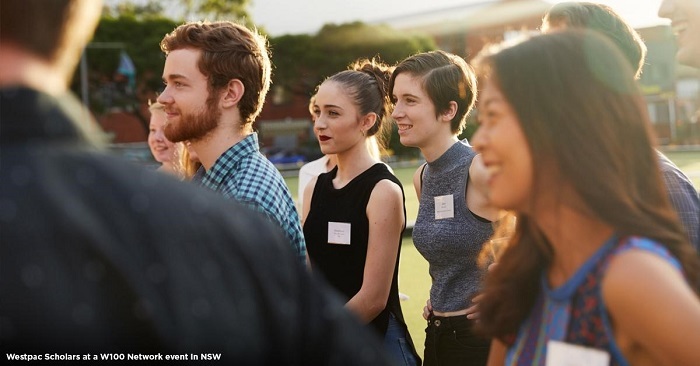 Westpac Scholars also receive lifelong membership to the Westpac 100 Scholars Network, a community of current and past scholars eager to connect and collaborate to drive positive change.